After last week’s nod to music nostalgia it seemed only fair to focus on the current crop of bands this week and of course by the end of the month we will know which artists have made the longlist for the Scottish Album of the Year award. Tactical voting by the smaller genres always sees them well represented while the small indie band vote tends to be split with the result that there are always a few worthy bands that don’t make the cut. However there is a list available on the award’s website of all the eligible bands and it is well worth spending some time familiarising yourself with the albums listed. 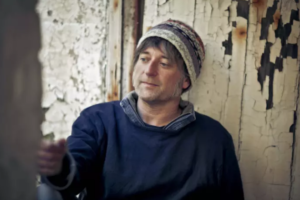 Avalanche stalwarts King Creosote, Kid Canaveral, Malcom Middleton, Meursault and Mogwai all have albums included as do new kids on the block Modern Studies even if its members aren’t exactly new to Avalanche. 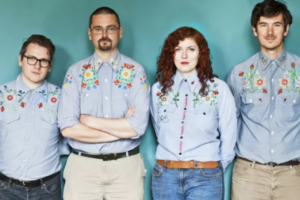 Proving that you don’t have to begin with K or M Frightened Rabbit, RM Hubbert, Randolph’s Leap, Rick Redbeard and PAWS are also among this year’s contenders and suffice to say there are many more worth a listen too. With over 260 albums to choose from you won’t get through them all in one sitting but you are certain to find a few new favourites if you persevere. The longlist of 20 albums is announced on Wednesday, May 24, at the 02ABC Glasgow when both Avalanche favourites Admiral Fallow and Steve Mason will be playing. Quite whether the amount of money spent on the award is justified given in year’s gone by it has had a fairly limited reach outwith Scotland is another matter but you can only hope that whoever wins this year is an artist that wil have a wider appeal. In many awards these days there does seem to be a certain desire to be a litle leftfield and a little quirky and the good old indie band gets passed over no matter how deserving they might be. Some might argue that the album as a format is no longer relevant for how an artist should be judged but I think for now it is still the aim of every self-respecting band to release an album even if that is only digitally so the album as a format will be a benchmark for some time to come. Moving forward what is left of the Scottish music industry needs to look at how it can help bands break out from what is often a very small circle of fans and while the philosophy these days is to make as much money from your superfans as possible not only do most bands have very few superfans indeed beyond their mums and girlfriends/boyfriends but they also cannot make the kind of money from these fans that bigger bands do with their expensive “bundles”. I know of no band who would rather have 50 high-spending superfans than 500 loyal fans spending less. I get in trouble for saying it but most bands these days are simply not good enough at a time when music vies for attention with other things far more than it did in the “good old days”. Songs like Into The Valley, Chelsea Girl, Sorry For Laughing, Candyskin, Safety Net and many others still stand the test of time. Albums like Psychocandy and The Midnight Organ Fight should be how new bands judge themselves. Being lazily alt-rock, shoegaze or indie folk is just not acceptable for young bands while artists like Filthy Tongues and Emma Pollock are still producing great work well into their careers. Quite why things are like this nobody seems to be quite sure but one argument that certainly rings true is that “the kids” don’t hang around in cool bars any more forming bands. It was interesting to hear on the Big Gold Dream documentary that they hung around in record shops to meet like-minded people. It reminded me of the Icelandic artist Benni Hem Hem. Already well known in his own country, he arrived in Scotland wanting to meet other musicians. His plan was simple – he just stood around in Avalanche’s Cockburn Street shop on a busy Saturday afternoon chatting to other musicians and that night went to a “cool” gig. By Monday he had a new circle of friends. In the middle of the week he returned saying he was amazed how easy it was to meet folk here in Edinburgh. Social media and streaming films and programmes has a lot to answer for !